I've decided to start teaching a full-day workshop on the basics of polymer clay. No prior experience will be required, and I will provide the clay and the use of all the tools in my home studio. Students will learn about the different clays, how to properly condition and bake them, what tools are really needed, how to use texture sheets, mica powders, sealers, and how to make Skinner blends and what to do with them once you make them. A 12-page handout full of information will be provided as well. 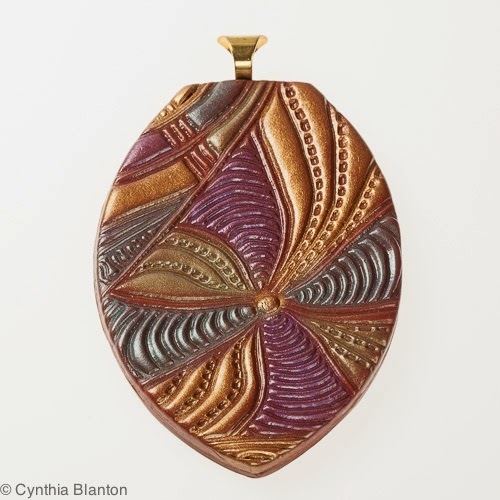 Because my orientation is toward jewelry, the first project will be a pendant and earrings made with texture and mica powders and the second project will be a convertible brooch/pendant using a Skinner Blend and inlay techniques. As time allows and depending on student interest, we will look at mokume gane or some basic canes. 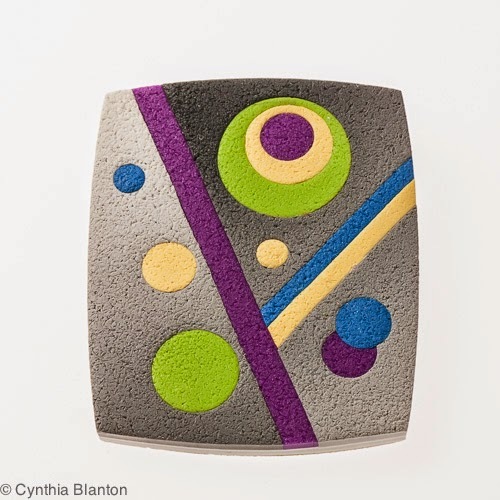 If you know of someone in the greater Toronto, Burlington or Hamilton areas interested in learning about this versatile medium, tell them to contact me at cynthiablantonstudio@gmail.com. I'm located in Oakville convenient to the QEW and Third Line. 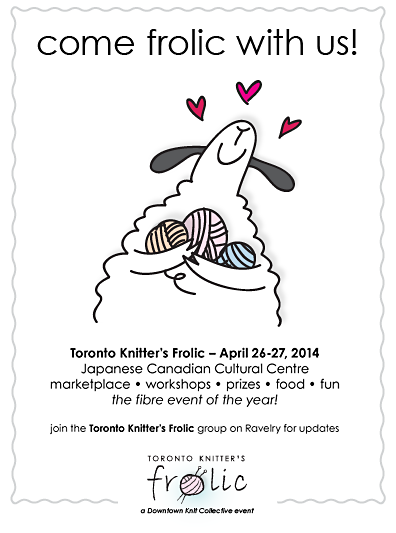 I had a great show at the Toronto Knitter's Frolic and sold lots of my shawl pins, scarf clips and buttons. Despite the fact that the major freeway leading into Toronto was closed in both directions all day, the crowds were plentiful and definitely in a spending mood. It was probably my best show ever.